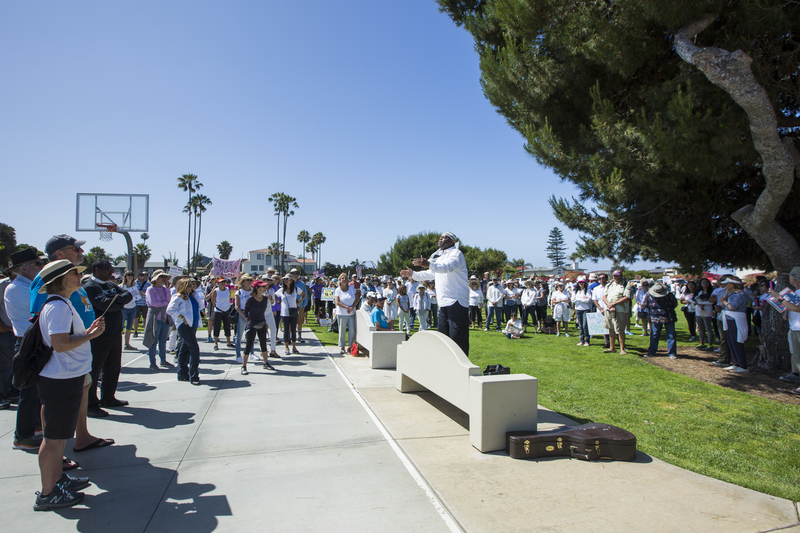 Yusef Miller speaks to citizens gathered at Cannon Park in Carlsbad to protest President Trump's policies regarding immigration Saturday in Carlsbad. Photo by Shana Thompson. CARLSBAD — Nearly 1,000 people from throughout San Diego County filled Cannon Park as part of the nationwide “Families Belong Together” march. Millions of people across the U.S. marched on June 30 protesting President Donald Trump’s immigration policies, separating immigrant children from their families, prosecuting those children without a parent or guardian in federal court and mass detention. 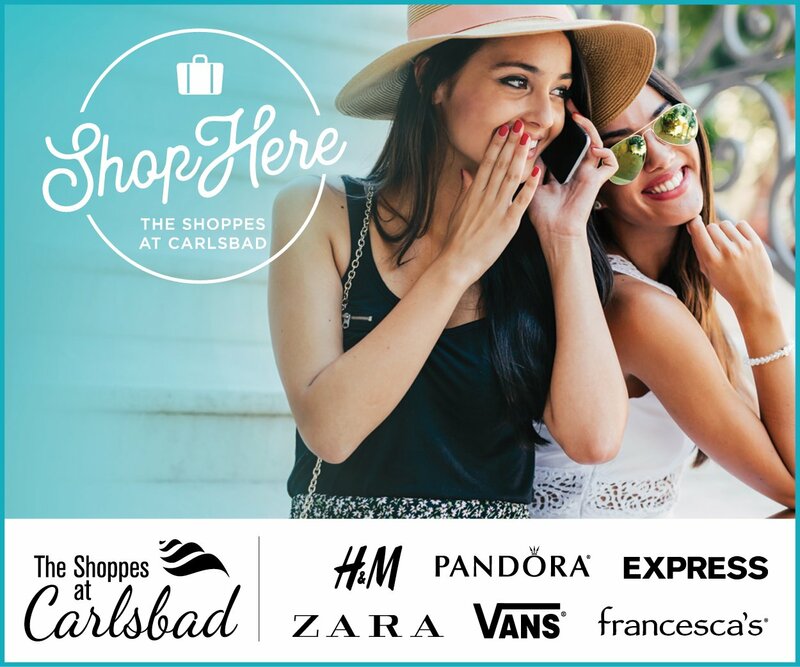 In Carlsbad, organizers canceled the event early on June 30 as the City of Carlsbad had not delivered permits to the groups. However, the Carlsbad Police Department and organizers negotiated a way in which the protesters could hold their rally and stay within the limits of the law, according to CPD Cpt. Pete Pascual. Police patrolled the streets and walked through the park speaking with protesters. There were no reports or arrests or violence. On the basketball court, where only 45 people where allowed because the group had no permit, speakers filled one hour with railing against the policies. Yusef Miller, founder of Mosques Against Trafficking, said the rally is about sending a message to Trump, the U.S. Department of Justice and the U.S. Immigration and Customs Enforcement (ICE). He said people of all racial backgrounds, faiths (or no faith) and religions came out in droves to support the cause. One of the speakers said the Trump administration has “amped up its level of cruelty, rhetoric and immorality.” Many speakers noted how people of color have been historically targeted by government departments and policies. They said it is critical for people to unite and use their energy to change policy and to move forward in a positive manner. There were about a handful or less people who support the immigration policies and ICE in attendance. They lined the streets next to proponents of the rally with no reports of menacing or inappropriate actions. Welcome to Carlsbad where the City Council backs Trump and his lawsuit against California. Make no mistake private prisons benefit enormously from all the new business Sessions and Trump are sending them via ICE. Unfortunately the council does not represent how the citizens feel they only represent what their party constituents feel. The out of touch council persons who promote fear to achieve their political aims need to look in the mirror. Please represent the good people of Carlsbad, not yourselves boys. Vote in November. Vote for Cori. Vote for anyone other than Hall, Packard and Blackburn. We need people at 1200 CVD who care about the people who live in Carlsbad, ALL of US, not just the Republican ones.